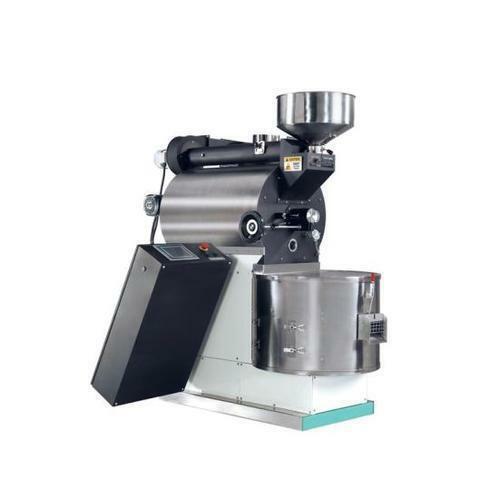 Our company is highly esteemed in providing Coffee Seed Roasting Machine. Established in the year 2006, we Mechpro Engineering have successfully emerged as a major manufacturer of high-quality FOOD PROCESSING MACHINES OF VARIOUS VARIETY. Offered products range consists of Feed Machines, Chapati Making Machine, and Peanut Machines. All offered products are manufactured using quality tested material and latest technology as per industry norms. Our range has gained high acknowledge due to the excellent features like easy to install, durable, excellent functionality, highly efficient, easy usability and optimum strength. We endeavor to become a famous firm with the help of our qualified team of professionals and advanced research and technology. In order to manufacture these high-quality chapati and candy making machine, we are supported by an ultra-modern infrastructure. This helps us to execute our production in the proper way. Moreover, our products meet the highest of quality standards in terms of their delivery of quality and performance as well as can be customized in terms of specifications as demanded by the customers.